In a horrific incident, a mentally disabled woman was tied to a tractor, shaved, stripped and then beaten to death by a mob after she was falsely accused of being a child kidnapper. 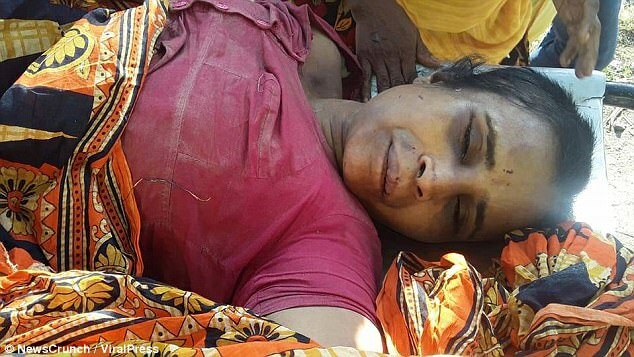 The incident happened at Sekendra village in West Bengal when Otera Bibi, 42, who had been living with her parents get attacked by a mob when she wandered from her home to a nearby village. Villagers tied her to a tractor and continuously beat her for 3 hours with sticks and also pelting her with stones. According to the locals, she was holding a chloroform-soaked cloth so she could kidnap a young girl from nearby. The mob without listening to the innocence of the woman started beating her mercilessly and finally killed her. She was trying to say something, but the villagers couldn’t understand it. They thought that she was a trafficker from Bangladesh.